Bank Aadhaar operators under pressure to meet enrolment targets - Aadhaar FAIL! A document from the UCO bank leaked on Twitter seems to be setting a target of 16 enrolments daily that must be met by the operators. The letter references instuctions from the main office during a video conference on the 25th May 2018 for every Aadhaar centre to complete 16 Aadhaar enrolments on a daily basis and urges the operators to meet the same. 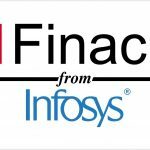 The notification warns that in the event operators fail to meet the target, the fine imposed by the UIDAI will be deducted from their salaries and their FINACLE ID will be cancelled. This is a difficult position for the Aadhaar operators to be in. Many of them having moved from their original business localities to banks in order to not lose their licences, they are largely dependent on individuals approaching the bank for conducting enrolments. This, in turn will encourage the operators to enroll people to save their salaries and may motivate fake enrolments to meet targets. The UIDAI appears to see enrolment operators as mere tools to its agenda. Initially, they hired operators widely, had them invest in equipment to do their work, then terminated contracts unless they moved to banks and post offices. Now there is a fine for not meeting minimum enrolments per day, that the bank is threatening to deduct from the salaries of the operators. It is hardly surprising that enrolment scams continue to flourish. 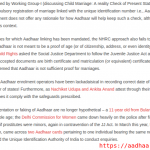 Where does the UIDAI think operators will recover necessary income from? Next post: ആധാര്‍: 50,000 കോടിയുടെ പെരുംനുണ!